Pirastro Obligato Upright Bass Strings are designed to emulate gut cello strings where a solid synthetic core is wrapped in very thin metal. 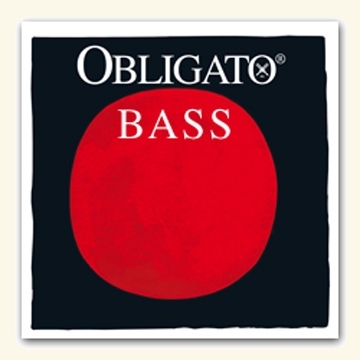 The attack of these handmade Pirastro Obligato Double Bass Strings is quick and strong. Their very smooth strings offer ease of play and use of a bow.